Mr Maynes returned to the Williams Project for a pop-up event on Wednesday 13th June. I thought the Williams Project was very interesting. It was nice how we got to ask Mr Maynes our own questions about the topic, and I also liked Mr Maynes’ funny jokes. He explained how the chemical elements which make up every one of us were made in supernovas – a huge explosion at the end of a star’s life. Jonathan Burn (OC) works in merchant bank IT and marketing. He is, in addition, a funk musician and mathematician, was a primary school teacher, and did a degree in Economics at the LSE in his own time for fun. He also has a masters in Artificial Intelligence from Imperial. With an engaging and clear set of slides, Jon took us carefully through what sound is, how computers store the information contained in sounds, and how they can be set up to learn the best ways of identifying new sounds. This is done mainly through the ‘random forest’ technique: a way of generating questions to ask about a new sound which most accurately and efficiently put it into the right group (e.g. robin or blackbird). 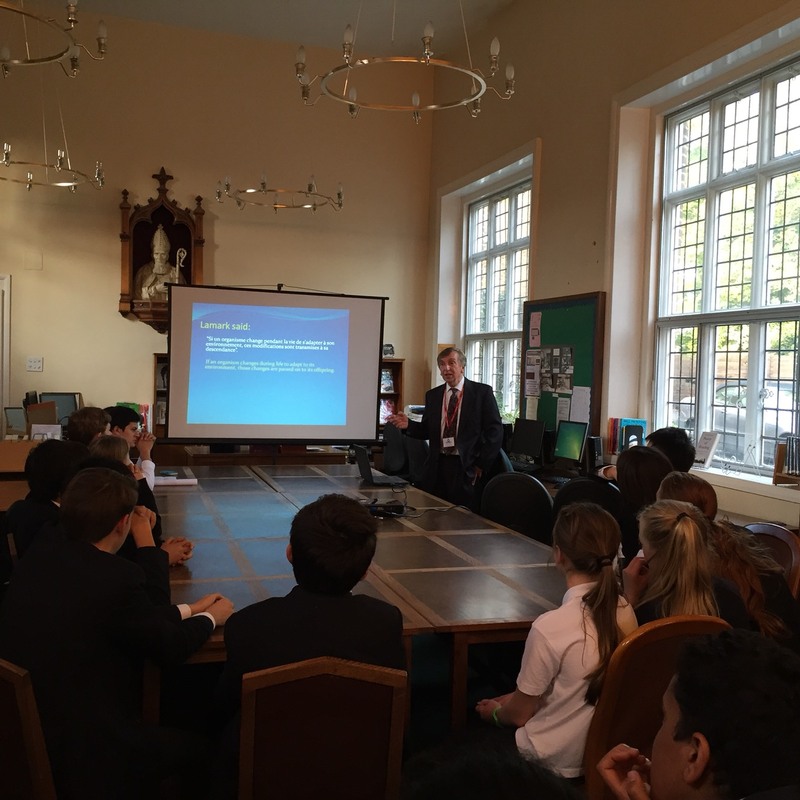 On the 16th of May Mr Maingot, Chigwell School’s head of drama, gave a thought-provoking presentation on the subjects of bio-electricity, auras and drama. At first, the functioning of neurons in the brain was explained, followed by an in-depth explanation of how using peripheral vision we can notice a magnetic field around a person, commonly known as their aura. After a demonstration that involved Mr Maingot connecting his index fingers and talking us through the process, we were given time to use our eyesight differently than we do on a regular basis and hopefully notice our own, individual auras. Mr Maingot ended the magical, yet scientific Williams Project by sharing his own personal experiences with colourful auras which he was lucky to observe while working with actors in drama plays. The audience was amazed and seemed determined to use Mr Maingot’s advice and start regularly practising their aura-seeing abilities. 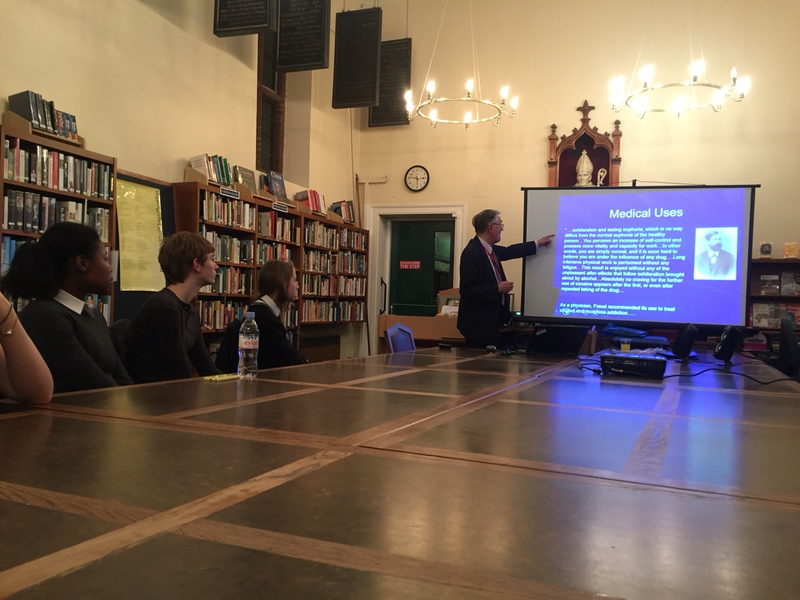 On Tuesday 3rd November, the Williams Project welcomed back Professor Alan Dronsfield from the University of Derby to give a talk on the historical uses of cocaine. As we had learnt from his previous talks at the WP, Professor Dronsfield is a clear, experienced speaker whose keen interest in his topic is infectious. Professor Dronsfield opened his talk by showing us six pictures of famous historical people who had taken cocaine in some form; Thomas Edison and even Queen Victoria among them. This helped him make the point that cocaine was once a common thing, before we were fully aware of its dangers. He told us that teas containing cocaine were common, and that the original form of the drink Coca-Cola contained a form of cocaine. However, he also explained that one form of cocaine had incredible medicinal value, specifically for dentistry purposes. For in the time before the mouth-numbing injection you can get today, you had to have your fillings done without anaesthetic, which was very difficult for the dentists. However, some scientists discovered that, by injecting cocaine into the patient’s mouth, they wouldn’t feel any pain and would even be a bit euphoric. This became common practice for quite some time before better methods were discovered which didn’t have such effects on the brain. Professor Dronsfield finished his talk by showing us a graph of lots of common recreational drugs and how they compared in terms of harmfulness. Cocaine was actually found to be less harmful than heroine, crack and, surprisingly, alcohol. Professor Dronsfield’s talk was well-presented and very interesting, and we look forward to having him back again in the future. On Tuesday the 22nd of September the Williams Project was visited by Keith Snow. He gave a very interesting talk about the development and influences behind Darwin’s theory of evolution, showing us how Charles Darwin himself was not the sole mind behind the theory of evolution. Darwin’s ideas both evolved over time and much was taken from many other people before him. Keith Snow discussed how Darwin took many of his ideas from his lesser-known grandfather Erasmus Darwin, as well as Thomas Malthus, whose ideas also inspired Darwin. Erasmus theorised that all life came from a common ancestor that branched off into all the species that we see today. Even without any time for questions in the library at the end it was a very enjoyed and interesting talk, and I’m sure that Keith Snow would be welcome back in the future. This week we had Marianne Talbot as the guest speaker at the Williams project. She is Director Of Studies in Philosophy at the University of Oxford’s Department for Continuing Education. Her first talk was to the younger members, and was about “Trolleyology” – the thought experiments around whether and under what conditions individuals would intervene to change the direction or progress of a runaway trolley car. If one was heading for 4 people, and you could switch the points so it killed someone else, would you? We soon realised that decisions like this weren’t as simple as utilitarianism would suggest: many in the audience were reluctant to intervene directly to save four by killing one. And would you push a fat man off a bridge to his death to save the four? The main theme of the fantastic talk she gave was on whether, given the power of modern biology, there are moral justifications for placing limits (or at least constraints) on the frontiers of academic research, even if it saves lives. The talk was very interactive, with people from many backgrounds getting involved and asking questions; some with interests in philosophy and religion, others with backgrounds in biology and chemistry. People also asked Marianne questions that were related to ethics but not to bioethics, hence widening the scope of the talk, such as the consequences of bio-weapons in Syria to the cure for AIDS. 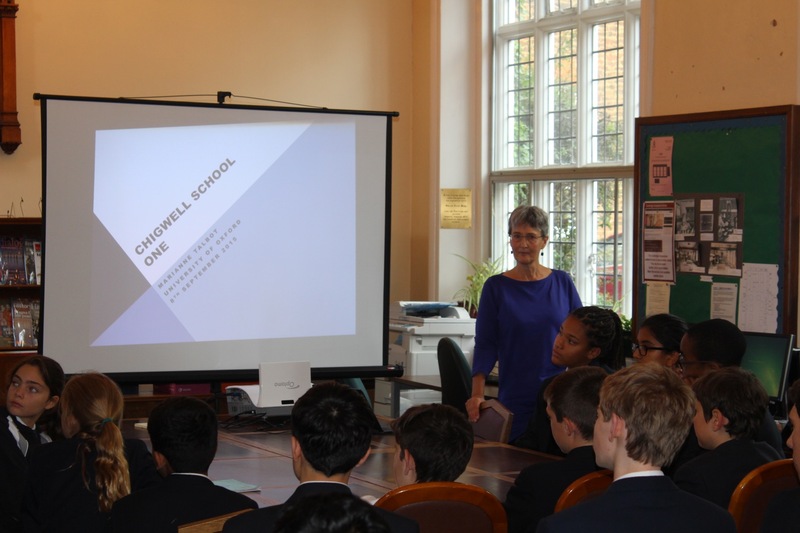 The effects of the lecture could be felt immediately, with many different groups in Chigwell taking on the discussion of other ethical issues such as Abortion and Euthanasia, as well as providing inspiration for the newly founded Biomedical Society. On the whole the talk was very interesting and informative, leaving the people who attended the talk significantly more knowledgeable about the complex world of bio-ethics and ethics in general. 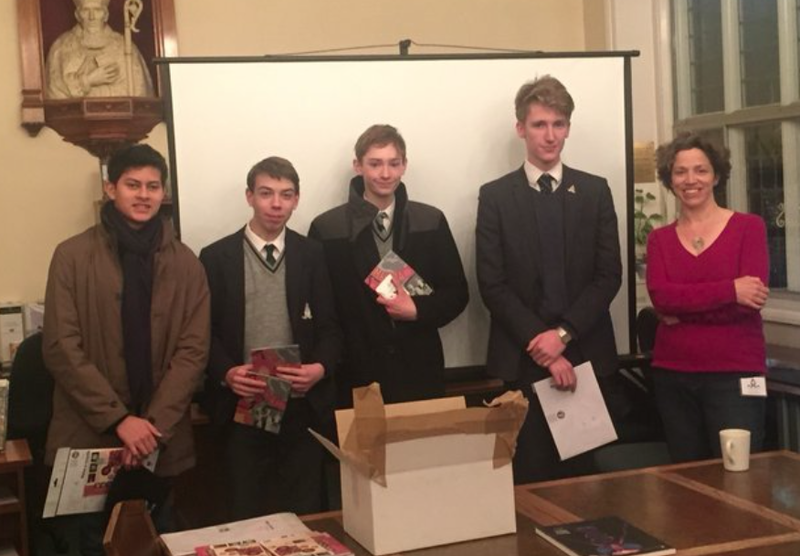 We thank Marianne for finding the time in her busy schedule to come and talk at the Williams Project, and we hope that in the future she might be able to find the time for another lively and fascinating talk at the Williams Project. 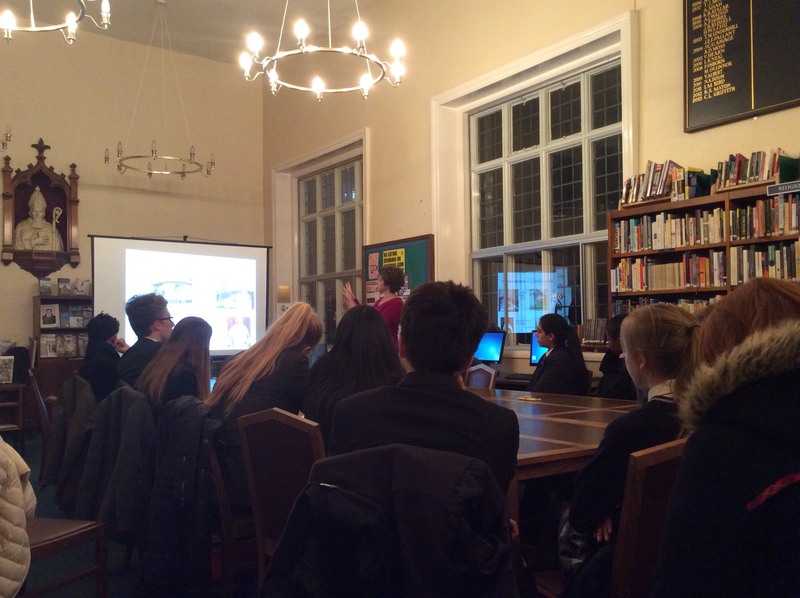 On Wednesday, the 20th of January, Dr Catherine Goodman – an economist from the London School of Hygiene and Tropical Medicine, visited the Williams Project and gave the first talk of the Lent term, titled “Malaria treatment in Africa – reaching those most in need”. At first Dr Goodman talked about the wide variety of people from different fields who make up the London School of Hygiene and Tropical Medicine, who are not only clinicians, but also researchers, anthropologists or, such as Dr Goodman, economists. The School’s main mission is to improve health and health equity in the UK and worldwide, by developing and testing diagnostic tools for malaria, TB and HIV, pursuing vaccine programmes, examining the cultural issues in Ebola control or investigating the impact of charging user fees for health care. In her work, Dr Goodman focuses on economic aspects of introducing effective interventions for malaria. We found out that half of the world’s population (3.4 billion people) is at risk of malaria and each year there are about 665,000 malaria deaths, of which 90% occur in Africa. Frighteningly, most of these deaths are children aged under five living in sub-Saharan Africa. Most deaths occur in countries with the highest rates of extreme poverty. We were also quite surprised to find out that in the past there was a number of cases documented in Essex, but to our relief, there is no high risk of this happening again at the moment! There is definitely a strong correlation between malaria and poverty and malaria has serious economic impacts in Africa, slowing economic growth and development. Dr Goodman spoke also about some effective malaria prevention interventions undertaken – insecticide-treated nets, indoor residual spraying and intermittent preventive treatment. Big hopes lie currently in the RTS vaccine, which works effectively in nearly 50% of the cases. We understood why the public sector in many African countries happens to fail in providing antimalarials and we found out about a not very successful idea of a global ACT subsidy and some ideas for the future. To conclude, the talk was absolutely absorbing and allowed us to have a good insight into the current situation in the global problem of malaria. It has also inspired us to think about the future of malaria treatment and what we could possibly do to improve it and make a change.